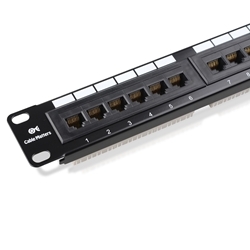 1) 180-degree patch panel constructed with SPCC 1.5mm steel. 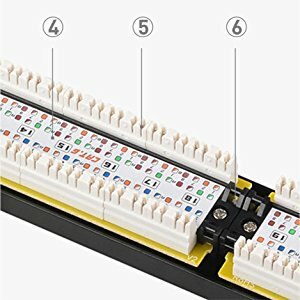 2) Gold-plated RJ45 8P/8C contacts with numbered ports. 3) Label spaces for hand-written or machine-printed labels. 4) T568A and T568B labels. 5) Dual IDC terminals for 110 or Krone impact tools. 6) Printed circuit board reduces next to improve the signal transmission. - 19" width by 1.75" (1U) height. 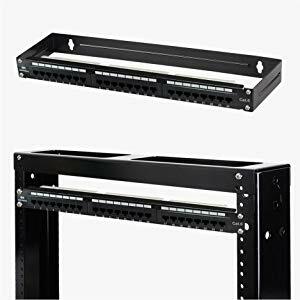 - Installs on a standard 19" rack rail. - Wall mount with a 19" wall bracket. 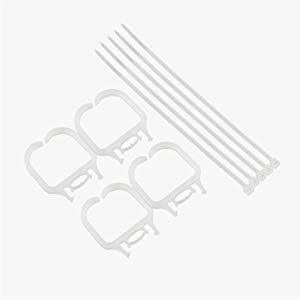 - Cable ties to secure the wire. - Does not include mounting hardware. 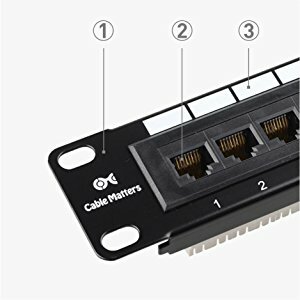 - Meets or exceeds all Cat 6 requirements. 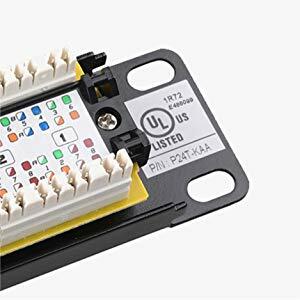 - Safe to install in network closets. - Professional design with a small footprint.